The US President has repeatedly claimed that India is a "tariff king" and imposes "tremendously high" tariffs on American products. 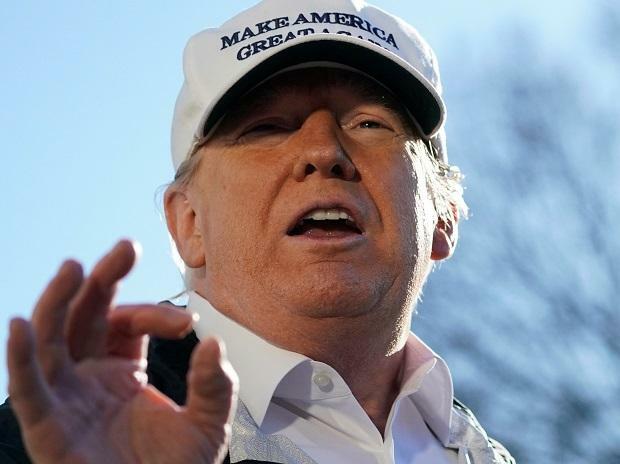 India charges America over 100 per cent tariffs on a large number of products while the US imposes nothing on the similar or same items, President Donald Trump has said, urging his administration to work on the “stupid trade”. His statement came days after he criticised India, saying it is one of the world's “highest taxing nations”. The US President has repeatedly claimed that India is a “tariff king” and imposes “tremendously high” tariffs on American products. Addressing the Republican Jewish Coalition in Las Vegas on Saturday, Trump said: "We have a case where a certain country, India, is charging us... what great country, great friend, Prime Minister (Narendra) Modi — charging us over 100 per cent for many things”. The US, he said, is charging India "nothing for similar or same" products. In his speech, Trump indicated that he is receiving resistance from Senators for imposing reciprocal tariff on India. He cited India as a country other than China which imposes high tariffs on American products. India, he alleged, continues to wage "stupid trade" and unfair trade practices, and called out Prime Minister Modi for the trade imbalance with the US. “I have Senators who say, you can't do that. It's not free trade. When did they come from? Where did they come from? It's not free trade,” he said, ramping up his rhetoric against India's trade and tariff policies. He asked his senior administration officials to work on this. “Will you please work on them? It's the craziest thing. It's stupid trade. We have so much stupid trade,” Trump said. He said that as a result of such trades, the US has lost for many years now — $ 800 billion a year on trade. "Who the hell makes these deals? Those are not good negotiators. Actually, Democrats made a lot of them though. But Republicans met a lot of up too, that's the amazing thing. They made $800 billion. But we're getting it back. We'll get to give back. We're going to be getting a lot of it. “I have to be a little bit politically correct by saying it's ok if we lose $20 billion with a country because we want to be nice. We want to be nice with everyone,” Trump said, asserting that his administration is cracking down on countries that cheat. Early this year at a White House event to announce his support for reciprocal tax, Trump said he was satisfied with the Indian decision to reduce the import tariff on high-end Harley-Davidson motorcycles from 100 per cent to 50 per cent. Trump has said that his administration is fixing broken trade deals to protect the American workers.